ft_logo Final Touch Commercial Cleaning Co. If there’s one type of company that you want always to have your business’s back, it’s a cleaning company. You want your employees to work in a safe and healthy environment and, what’s more, you don’t want to be the one to clean up the unexpected messes that life can throw at you. We offer 24 hour emergency cleaning along with regular commercial cleaning and maintenance of your commercial space. With decades of experience, we’re the ones to call when there’s an emergency, and we’re the ones who can show up for you regularly to ensure your comfortable environment. Our commercial cleaning crews can come to your business any time of day or night, making you a part of their group of satisfied customers. With over 35 years of combined experience, there’s no job that we can’t tackle. It’s important that your staff work and spend their days in a healthful environment, so let us do daily, nightly, or weekly cleaning to ensure that their health and surroundings are always a priority. This can include any types of janitorial services, such as sanitation and carpet cleaning. We’re available for any emergency service 24 hours a day, any day of the week. This includes holidays and weekends, 365 days a year. If you have water or fire damage, are in need of mold removal or construction cleanup, or any other cleaning task that requires an emergency cleanup, we are always on call and ready to get your business cleaned up, so you can get back up and running. Several steps above your average vacuum or power cleaner, carpet bonnet cleaning has high-power agitation to simply lift away dirt from the carpet. If you’ve never had this done before in your office or commercial location, you can expect to see a huge difference. You may even notice a brighter office with better air quality, which is why many of our customers choose to have this service rendered on a regular basis. Carpet extraction cleaning is similar to carpet bonnet cleaning in that it provides a deeper clean than standard methods. Extraction cleaning is excellent for removing tough spills, and, like bonnet cleaning, can be done on a regular basis to avoid bacteria and other dirt and dust particles that may be lingering right below your feet. Anywhere in your building, from the break room to the bathrooms, we can make sure that everything you don’t want to deal with is always taken care of. We do floor to ceiling cleaning and maintenance. Including our 24 hour emergency service and our regular daily or nightly cleaning, we offer janitorial services including taking out the trash and recycling, sanitation, stripping and waxing floors, cleaning and dusting vents, and of course, any spot cleaning that is needed in a pinch. Among our floor technicians, you will find the experience and expertise that 35 years of combined experience will give you. This includes stripping, buffing, resealing and refinishing floors, along with all of the carpet cleaning and maintenance duties listed above. The Final Touch Commercial Cleaning company has been in business in Tulsa, Oklahoma for many years. Despite the fact that we have been around for a long time, our mission remains the same. That mission is to make sure that everyone gets the best commercial cleaning service possible. Our customers have been very satisfied with the service that they have received from us, which is why we have received rave reviews. Our top priority is the customer. Final Touch Commercial Cleaning cleans over 4 million square feet every night in Oklahoma with over 200 dedicated team members. The Final Touch Commercial Cleaning company has been in business over 30 years in the Tulsa and Oklahoma City area with an amazing track record of service and excellence. Call Final Touch Commercial Cleaning today to learn more about our commercial cleaning services! 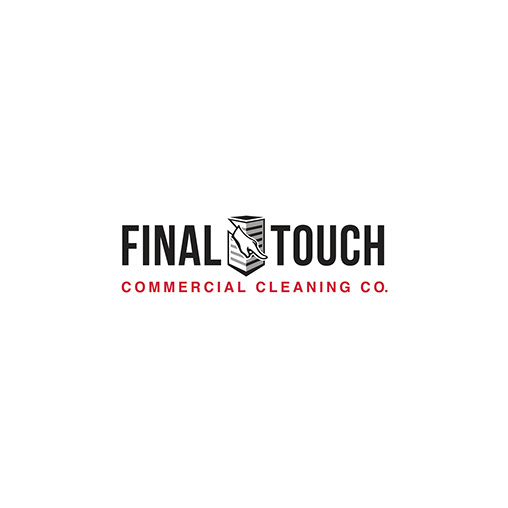 Final Touch Commercial Cleaning Co.